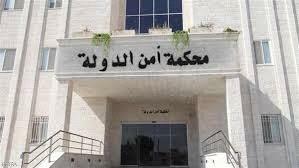 AMMONNEWS - The State Security Court (SSC) on Wednesday sentenced a defendant to two years of hard labor for promoting the terrorist Daesh ideology on a Facebook page. According to the court's ruling, the defendant aired a photo of a child holding a band on his head representing the organization's flag and posted a footage of a gun for sale, captioning that he was trading firearms. The court charged the man with the promotion of the ideology of a terrorist group online and arms trading.